IBRC 3 was a multi-stage project completed over a four year span. The three phases of the process are outlined below. Phase 1: Complete background research and preliminary engineering required to develop a proposed precast deck system and design procedure for the full depth, precast, prestressed concrete deck panels. Develop laboratory tests based on the proposed system and carry out all testing. Phase 2: Implement the full depth precast, prestressed concrete deck panel system on the Door Creek Bridge. 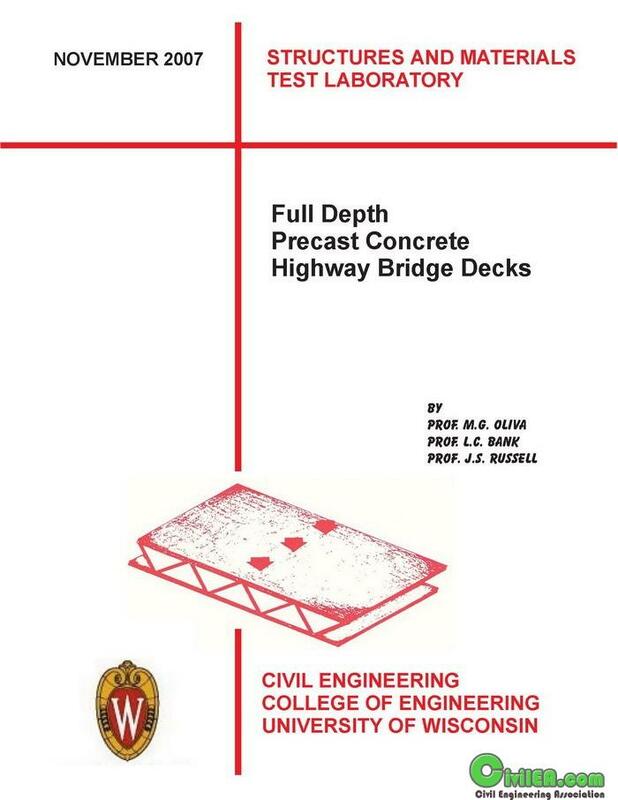 Perform a constructability study and compare the construction of the innovative and conventional bridge deck systems. Evaluate structural performance. Determine minimum needed prestress levels across joints for future projects. Phase 3: Monitor both conventional and innovative bridge decks. Use non-destructive load tests and inspect for cracking to determine feasibility of using prefabricated, prestressed concrete deck panels in the future. Run analytical studies of loaded bridge.